If you want straight hair with a professional finish, invest in a ghd IV Styler. You have to pick the right hair-straightener if you want to get rid of those stubborn curls or tame that frizzy messy hair! For a modern, busy gal like yourself, you’ll find that a blow dryer and flyaway serum just isn’t enough! Not only are Good Hair Day straighteners the leading brand name in that salon straight finish, but the company was the first hair tool sponsor of the Victoria’s Secret Fashion Show. The straight hair goddess herself, JENNIFER ANISTON, endorses this product! Endorsements from other fab celebrities include Victoria Beckham, Madonna, and Gwyneth Paltrow. Professionals themselves stand by GHD IV Styler. For example, my hairdresser uses GHD and swears by it. She said this is because GHD IV has a longer lead, which is essential in dealing with those stubborn chunks of hair in the back. The straightener plates are made of aluminium because it has powerful heat conducting properties. The aluminium is coated in a thin layer of advanced ceramic because this helps the plates glide smoothly through the hair while protecting it from the heat. This leaves the hair smooth and healthy as the ceramic works to protect from heat damage and that brittle finish from over-straightening. Therefore I can straighten my hair with confidence knowing that I can maintain my healthy locks. Regardless of what protection products I used I find other brand straighteners cause damage whereas GHD protects your hair. The Styler also creates a smooth equal finish on the hair ends, which is probably the most important aspect of straightened hair. Because we are all busy girls with packed schedules, our time is important! 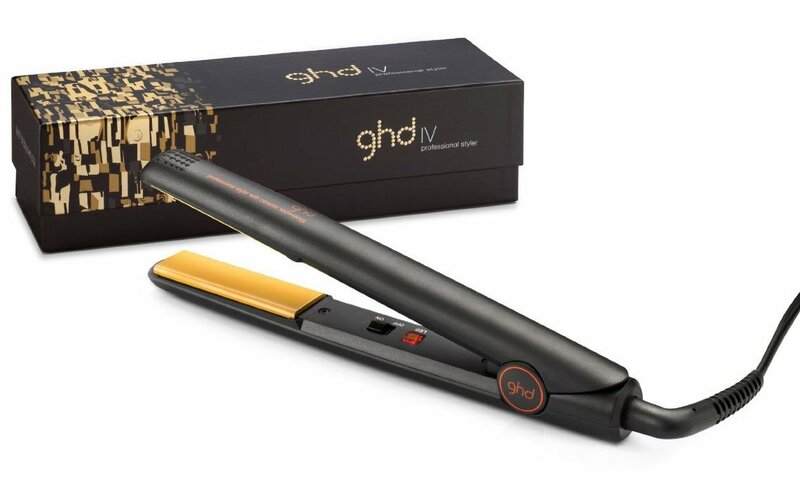 GHD IV can straighten thicker chunks of hair and leave them smooth, frizz-free and glossy. The best part is that the ceramic heater technology protects hair and leaves it lasting healthy despite daily straightening. In fact, even without protector spray, GHD IV leaves your hair smooth with a professional finish. Coupled with a ghd Air Hair Dryer, you can really get an “out of the salon” finish every day in little time. Most of the testimonials say that clients wish they had invested in this straightener a while ago – before spending half the money on cheap straighteners that ended up in the bin after a year or two. Actually, I bought it when it first came out approximately 7-10 years ago and it only just stopped working. GHD Mark IV Styler has a round barrel for creating curls. This normally takes a little more skill than the average straightening routine because I have to make sure I angle the styler correctly at 45° away from the face in order to achieve luxurious curls or even fun waves.